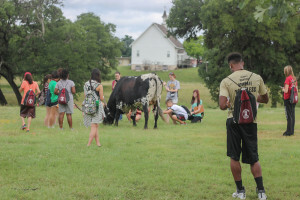 The Houston Livestock Show and Rodeo™ in conjunction with their ‘Western Art Contest,’ is sponsoring eight $1,000.00 Cowboy Artists of America Scholarships to Schreiner College to attend a unique six-week summer art workshop in drawing…The course will be for college credit…Schreiner has brought together a group of professional artists, which includes at least one member of the Cowboy Artists of America, to team teach the course… In the summer of 1984, eight students from Houston, Aldine, and Cy-Fair school districts attended the first western art academy in Kerrville, Texas…. Many consider Kerrville and the Texas Hill Country the “art colony” of the state because many professional artists live and work throughout the area, and the Cowboy Artists of America Museum is located here. The scholarship program resulted from chance meetings between Griffiths Carnes, Cowboy Artists of America Museum Director; Sandy Poole, School Art Committee Chairman, Houston Livestock Show and Rodeo™; and Ethel Carruth, School Art Scholarship Sub-Committee Chairman, Houston Livestock Show and Rodeo™(HLSR). Their goal was to transform the School Art Committee’s rodeo poster contest into a higher educational program. 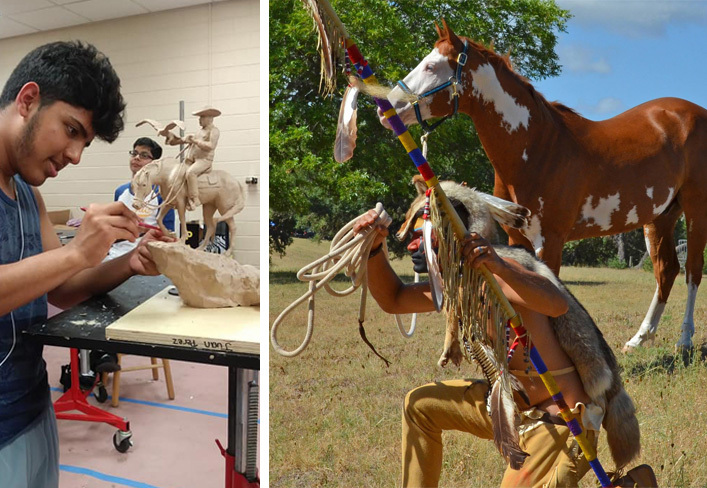 Please contact the Western Art Academy Scholarship Program at WAA@schreiner.edu for more information and the cost of the academy session.